Whoa! When I enlarged it the colors popped. Wow! We are nowhere near blossoms.I envy you. Wonderful photo. The daffodils and magnolias are blooming now. What region are you in? North. Up in Minnesota. Frost on the roof this morning. And no blooms on the trees yet. Ah, Minnesota. Lovely, cool summers up there and beautiful snowy winters. My pleasure Nomzi! Have a lovely weekend yourself. Nice! You must have been a bit south for this one. Lucky duck! Thanks Ilex. I’m on the border of 5a and b. We had a stretch of warm weather this week and the magnolias and daffodils came alive overnight, it seems. My radishes, spinach, lettuce and rhubarb are shooting up by the hour as well. Perfect in abundance of flowers and fragrance. 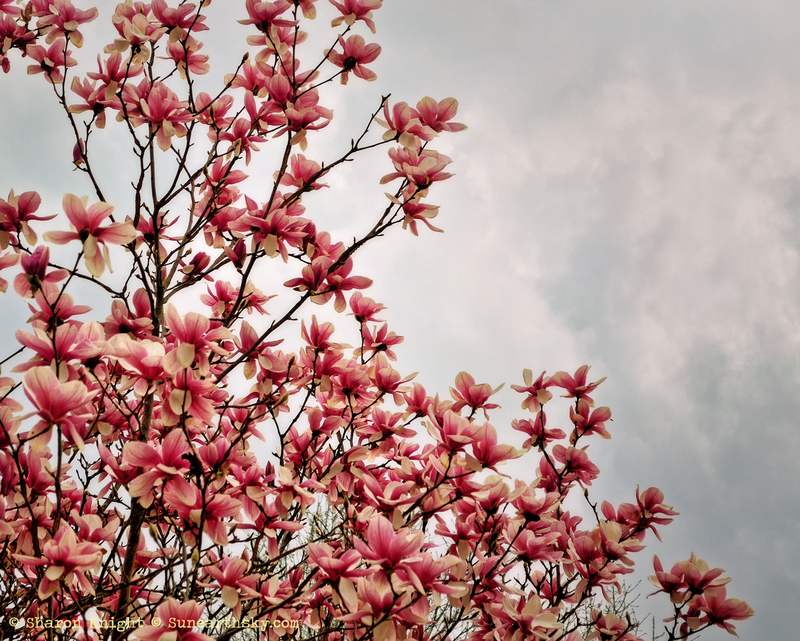 One windy day takes care of these lovely blooming magnolias. Fortunately, there are redbuds, crab apples and others right behind it! Isn’t that the truth – storms blew through and half our roses got blown apart. Gorgeous! Still waiting for ours to bloom. We’re not even close to seeing that. Late spring here.